Already have a Username/Password for Croatian Journal of Education - Hrvatski časopis za odgoj i obrazovanje? Note: Manuscript Online Submission, i.e. upload via Open Journal System of the Croatian Journal of Education must start from the English language web page. Language may be selected from the drop-down menu located on the right side of the web page. Information and Communication Technologies and Other Sciences and Arts. 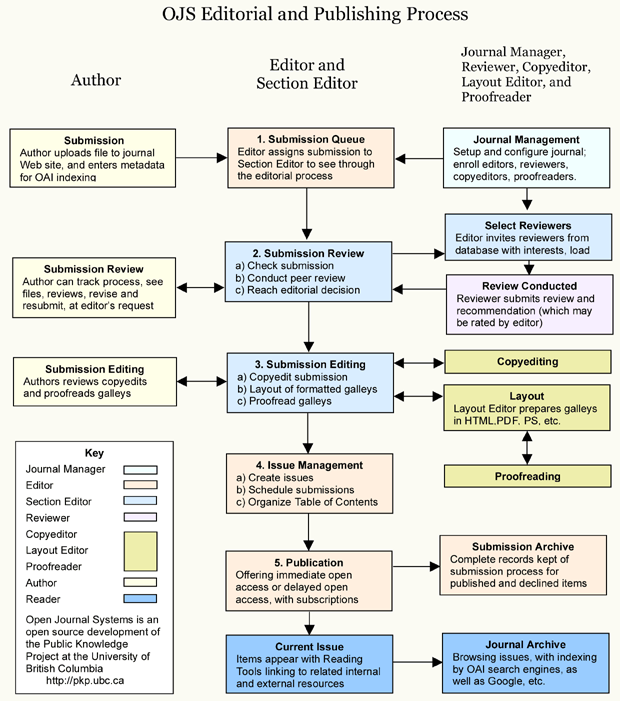 The manuscript needs to be prepared in accordance with the Submission Guidelines link in Open Office or Microsoft Word document, with the information about the authors omitted. The paper is submitted in English language with the title, abstract, tables, figures and graphs positioned in the appropriate place in the text. There should also be a reference list and appendices. However, appendices should be avoided wherever possible, unless they are crucial for the paper. The authors also need to submit the Croatian version of the title, abstract and the manuscript with the omission of tables, figures, graphs and references. The authors submitting the Croatian version of the paper are kindly requested to specify the position of tables and illustrations in the paper marking it with e.g. Table 1.; Figure 1. The title of the manuscript should be entered using sentence case letter format in English and Croatian language with the two language versions separated by a slash (in English Capitalize Each Word should be used). When submitting the abstract, the English text is entered, followed by key words in a new line. Then there should be an empty line followed by the Croatian version of the abstract and key words in a new line. Key words are up to five words or phrases, not previously mentioned in the title, submitted in alphabetical order and separated with a semicolon (;). The authors are kindly requested to skip this step and continue submission procedure. All the files and data related to the manuscript need to be submitted in a unique file in Step 2. Tables should not be submitted as supplementary files but should be included in the main manuscript file. The listed authors warrant that they are the authors and sole owners of the submitted manuscript. The authors also warrant that the work is original; that it has not been previously published in print or electronic format and is not under consideration by another publisher or electronic medium; that it has not been previously transferred, assigned, or otherwise encumbered; and that the authors have full power to grant such rights. With respect to the results of this work, the manuscript of this or substantially similar content will not be submitted to any other journal until the review process in the Croatian Journal of Education has been officially completed (acceptance or rejection of the manuscript). The authors hereby grant to the Croatian Journal of Education the right to edit, revise, abridge, and condense the manuscript. If the manuscript is accepted for publication, the authors hereby transfer the copyright of the paper to the Croatian Journal of Education. The authors also grant their permission to the Croatian Journal of Education to allow third parties to copy any part of the journal without asking for permission, provided that the reference to the source is given. The Editor-in-Chief and Section-Editors read all submitted papers and assign a general priority level. Papers are first compared to the standard and the concept of the journal, then the methodology is preliminary reviewed, and after that, they are sent to reviewers. The reviewed papers are returned to the authors with reviewers' suggestions for the improvement, or in case of a negative review, are rejected. Next, editorial board members read the revised paper and, provided adequate improvements have been made, the paper is selected for publication according to its categorization, or in case the authors have failed to make the required improvements, the paper is rejected. Papers have to be previously unpublished and they cannot be under consideration for publication in other journals; however, if the paper has been submitted elsewhere, the editorial board of Croatian Journal of Education should be notified. The editorial board is under no obligation to provide justification of its decision regardless of whether the paper is accepted or rejected. Authors are obliged to submit the paper in both languages and they take full responsibility for the quality of the translated text. Authors who do not justification of their paper in both languages will be offered a translation for a fee according to the market price of 150 kunas (20 €) per standard page. The fee will be paid by the authors after the paper has been accepted and before its publication. The standard page size is 1800 characters with spaces. Proofreading is provided for all well-prepared texts; however, all texts which require more than 16 proofreading corrections per standard page will be charged additionally in the amount of 60 kunas (8€) per standard page. Authors whose papers have been accepted for publication may be delivered 10 copies of the offprint of the same quality as the journal and one copy of the issue for the first author for a fee of 1500 kunas (200 €). By submitting their paper to CJE, the authors confirm that the procedures followed during the research and in writing the manuscript are in accordance with the ethical standards of the responsible institution. All the employed research instruments need to be legally obtained, in other words, the authors are obliged to present a written consent by the rightsholder, the publisher or the author, granting them the right to use the instrument. This journal’s editorial team uses this data to guide its work in publishing and improving this journal. Data that will assist in developing this publishing platform may be shared with its developer Public Knowledge Project in an anonymized and aggregated form, with appropriate exceptions such as article metrics. When the paper is published on this site, the author's data is shared with http://www.doi.org/ and Portal of Scientific Journals of Croatia - https://hrcak.srce.hr. The data will not be sold by this journal or PKP nor will it be used for purposes other than those stated here. What information is collected: the required data include first name, last name and e-mail address. The data are collected for the purpose of accessing journal publishing web site cje2.ufzg.hr and for the publishing the author's paper. The identity of the data controller and contact information: dr. Predrag Oreški, predrag.oreski@ufzg.hr. Personal data is kept permanently as is the nature of this journal publishing web site. In order to withdraw the consent to collect data, to request a complete record of collected personal data, it is necessary to contact the predrag.oreski@ufzg.hr.